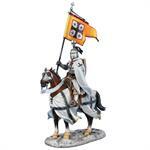 The Battle of Lake Peipus took place in 1242 between the Livonian Branch of the Teutonic Knights and Republic of Novgorod. 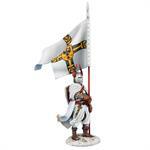 It was a part of the Northern Crusades of the Catholic Christian Military Orders against the "pagans" of the Eastern European Baltic states. 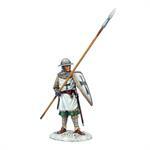 Alternatively named "the battle on the ice" because a large part of it was fought on the surface of a frozen lake, the Battle of Lake Peipus was a significant Crusader defeat at the hands of Alexander Nevsky. 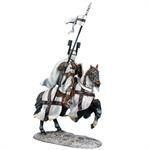 Nevsky's strategy was to feign withdrawal to lure the overconfident Teutonic Knights onto the surface of the Lake. 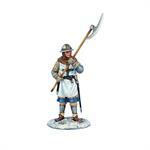 A melee ensued over the course of a few hours and the exhausted Crusaders succumbed to a final attack of the Wings of Nevsky's army. 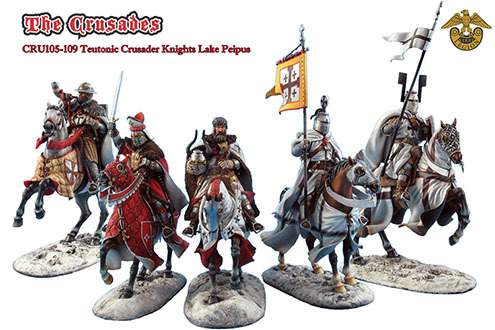 The ice of the lake began to crack under the strain in some sections and many of the heavily armored Crusaders and Teutonic Knights drowned as a result. Up to now our Crusades series has only covered the Siege of Acre, but this expansion of the range will be given the same detailed treatment with the combatants of both sides well represented allowing for wonderfully detailed dioramas of the famous Battle of Lake Peipus. 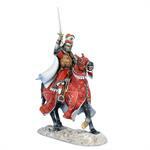 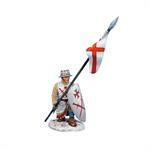 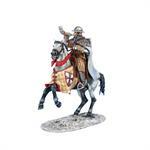 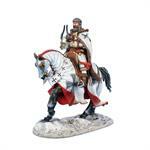 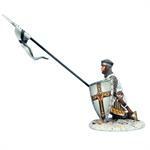 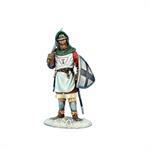 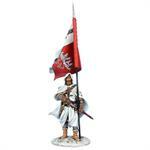 We hope you enjoy this new direction of our Crusades figure range!